[prMac.com] Mont Albert, Victoria, Australia - Pentagon Digital today is proud to announce the release and immediate availability of POSiSales 2.0.5, an important update to their popular point of sale app for the iPad. POSiSales is part of an advanced point of sale (POS) system which addresses the needs of small businesses who require a full-featured sales and transaction management system that is much more reasonably priced than expensive and hard to learn full-fledged computer-based systems. The POSiSales iPad app is the software component to an advanced, yet easy to use point of sale system, made up of the app running on an iPad, an Apple Airport Express to handle the private wireless networking needs, a Star Micronics TSP100 receipt printer plugged in to the Apple Airport, and a cash drawer. Combined, these components make up an efficient POS system allowing businesses to place orders, invoice products, email orders to customers, print to multiple printers, and much more. "Small business owners have long been required to purchase expensive computer-based point of sale systems for use in their stores. On top of a large initial investment, they have also been forced to pay monthly contractual fees," says Pentagon Digital CEO Dr Helmut Imberger. "The POSiSales sales system makes use of a low-cost iPad, Airport Express or Extreme, a receipt printer, and a cash drawer to create a complete, easy to use point of sale system. Plus, there are no monthly fees. Once the customer pays the initial costs, it's all theirs to keep forever!" The POSiSales system is a fast and extremely reliable POS system, offering excellent return on investment. The system requires almost no training to operate, and can be set up in as little as 30 minutes. Once in place, POSiSales integrates into any type of business, be it a bakery, cafe, food truck, small grocery store, ticketing agency, gift stores, or almost any other kind of business that can be thought of. In addition to point of sale features, POSiSales also features a Customer Database that allows businesses to register client details and save customer comments, either for a specific job, or for a customer's particular needs. A separate Comments report can be printed or sent to Dropbox. POSiSales also offers the ability to print to multiple printers, allowing up to 1200 products in 40 different categories, each holding up to 30 items. Every category is guaranteed to print to the correct printer in the business. Proving POSiSales flexibility, satisfied customers include the Oxygen Bar in Darling Harbour, Sydney, a boxing health club in Perth, a Rugby Leagues club selling memorabilia in Western Australia, a bowls club in Queensland, a mobile "Buzz" Cafe in Melbourne, a Japanese tool company in Kogarah that takes orders and sells product at expos, a delicatessen in Carlton, Florists, Karabar High School in Queanbeyan in its vocational training courses, as well as numerous cafes, fast food outlets, and even an import ticketing business in Europe. "The system is very reliable, extremely cost effective when compared to other standalone POS systems," said Phil Blank, director at Kallangur Bowls in Brisbane. Users who require a more compact POS solution are encouraged to investigate the POSiSales single printer integrated cash drawer solution, which uses the POSiSales software downloaded to the user's iPad, linked to an integrated Star mPOP cash drawer/receipt printer all-in-one unit via the iPad's Bluetooth connection. The POSiSales 2.0.5 demo version is free, and is available worldwide exclusively through the App Store in the Business category. 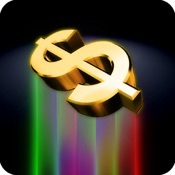 The full version of the POSiSales app is $899 AUD from the App Store. The complete point of sale solution is available from Pentagon Digital, comprising iPad, receipt printer, cash drawer, private wireless network using the Apple Airport Express, all pre-configured, so it works "out-of-the-box." Pricing ranges from $1,999 AUD for the mPOP configuration to $2,699 AUD for the wireless network configuration with iPad, receipt printer and cash drawer. For more information, visit the POSiSales website. Users can download POSiSales for free, independently purchase the Apple iPad, Airport, Star receipt printer and cash drawer (or integrated Star mPOP), then unlock the full version of POSiSales to accomodate 1200 products if it meets their needs. Headquartered in Mont Albert, Victoria, Australia, Pentagon Digital was founded in 1982. The company strives to offer its customers the best compact point of sales tools available in the industry today. All Material and Software (C) 2017 Pentagon Digital. All Rights Reserved. Apple, the Apple logo, iPhone, iPod and iPad are registered trademarks of Apple Inc. in the U.S. and/or other countries. Other trademarks and registered trademarks may be the property of their respective owners.